Paul Shorrock | Illustrator | Taking Rich Pictures to the next level. Taking Rich Pictures to the next level. 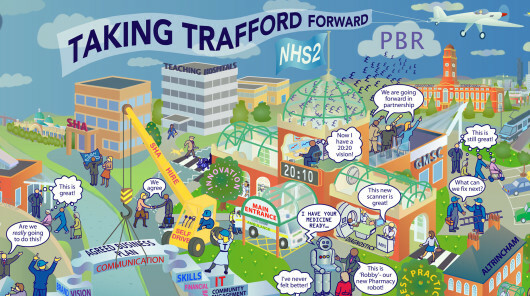 One of my earliest Rich Picture projects, back in 2006, was for NHS Trust Trafford, through Atos Consulting. They were so pleased with it they still use it in their promotional material and a senior executive at that time commented that it had taken Rich Pictures to the next level. Click on the image for a higher resolution copy. I’m particularly struck by Edna Robinson’s (the Chief Executive of the Trust at that time) comment in the linked brochure about how the process had forced behavioural change on her Management Team members, getting them to engage in meaningful dialogue, in some cases for the first time. 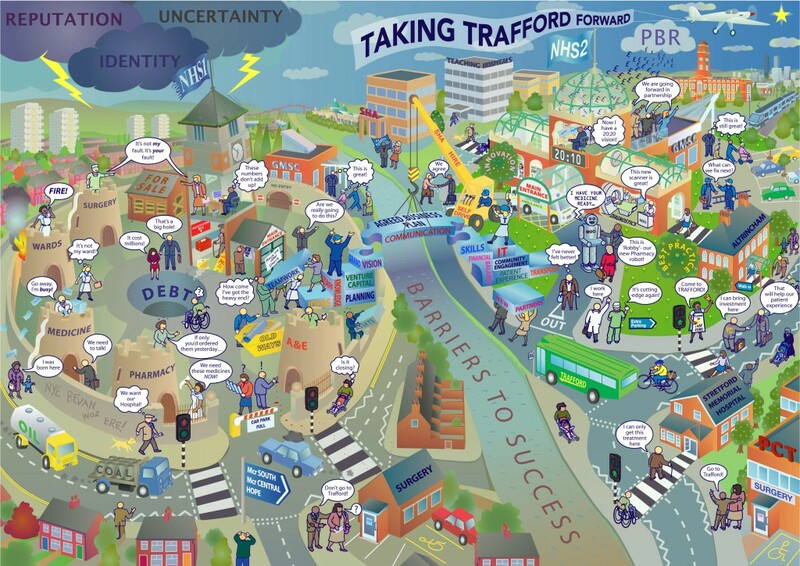 This to me is one of the real benefits of the Rich Picture process- getting everyone to engage in identifying the issues and collectively define the future vision. Not just putting themselves ‘in the picture’ but helping to define that picture too.